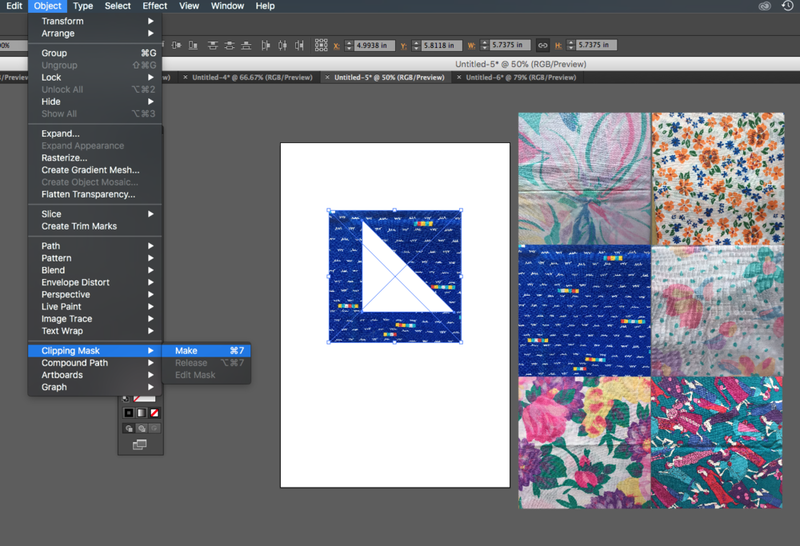 I start all of my quilts in Illustrator. 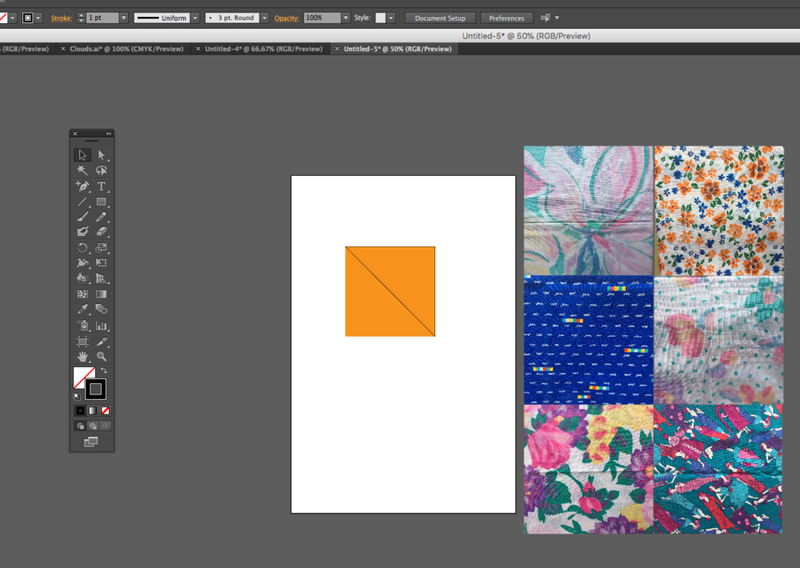 I usually quilt in all solid colors and use a kona cotton swatch library that was made by Alyssa Lichner to ensure color accuracy but recently I bought a stash of vintage fabric and realized I would have to figure something else out. So after a little bit of head scratching, I came up with a solution that I just had to share! 1.) Take pictures of the fabric you intend to use. These pictures will become your swatches. 2.) Drag and drop your "swatches" into Illustrator and place them to the side of your piece. 3.) Use the rectangle tool to create a square. 5. Delete the square and select the lines. Hover over Object at the top of the drop down menu, scroll down to Path, and select Join. 6. Fill the triangle with white, duplicate the swatch that you would like to turn into a half square triangle, place the triangle over the swatch, select both the triangle and swatch. Hover over object, scroll down to Clipping Mask, and select Make. 7. Taa-Daa! You've created your first HST! Repeat these steps as many times as it takes to design your desired quilt block.